Can I put my logo or design on this item? While you do not need to customize this item to purchase it, this item can be customized to help promote your brand, company, or event. To order this item customized with your design or logo, make sure to click the purple "Customize this product" button at the top of the page. To see even more custom products, be sure to check out our complete listing of items that can be customized just for you! 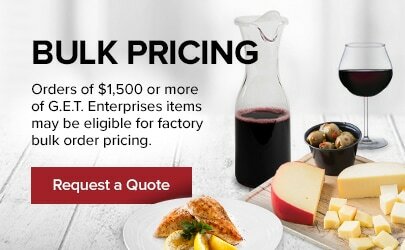 Boost your tabletop presentation and inspire ease at first sip with this GET 6612-1-6-CL 12 oz. 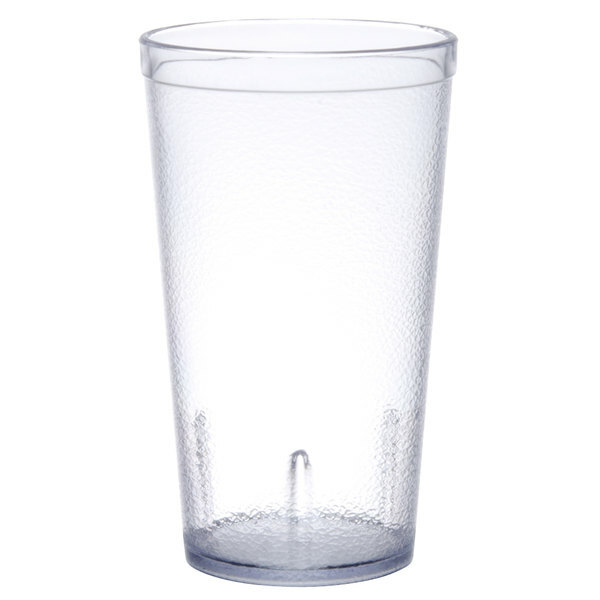 stackable clear SAN customizable plastic textured tumbler! 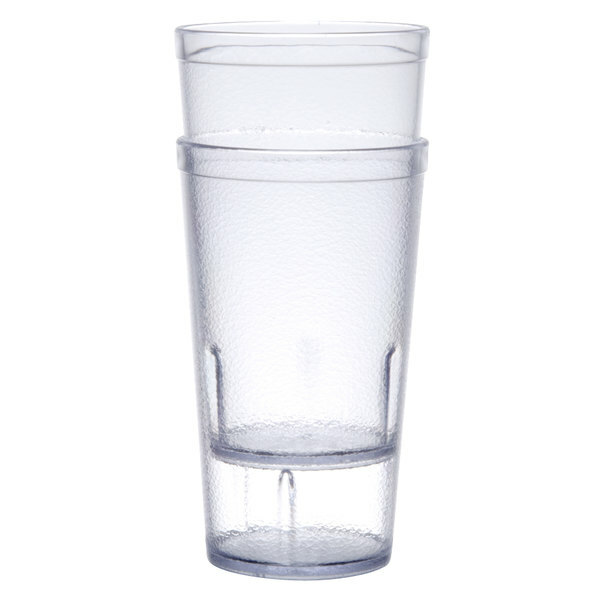 Constructed of lightweight SAN plastic, this cup not only enables easy lifting for a more optimal drinking experience, but it also provides superior strength for increased longevity in the busiest of establishments. 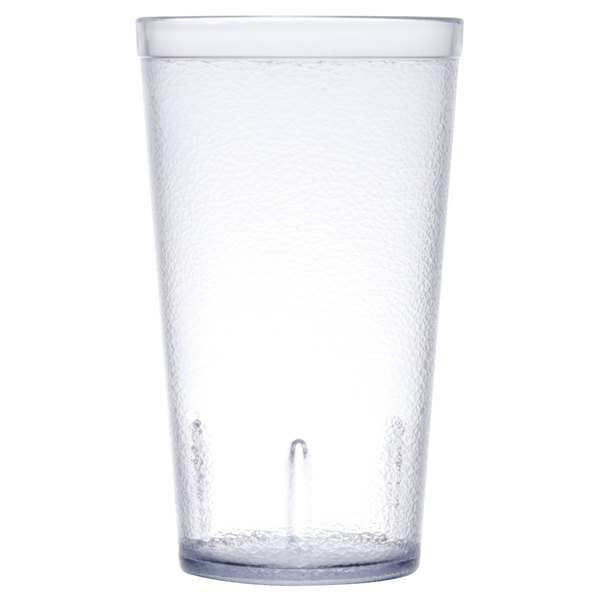 Due to its shatter and chip resistant design, this product delivers the ideal beverageware alternative to business owners looking to cut replacement costs and minimize liability from broken glass. 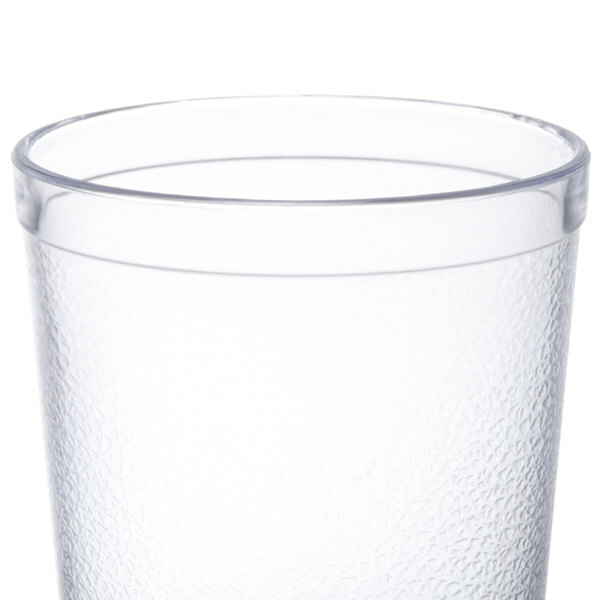 That said, no matter the venue, be it a lively poolside bar or a crowded corner cafe, this tumbler is sure to withstand the wear and tear of innumerable guests throughout the years. Boasting an attractive dual-purpose exterior, this product also features a textured design that conceals scratches while enhancing grip. So whether your customers request a fizzy fountain beverage to satisfy their thirst or a mango-pineapple smoothie to quench their island craving, you can rest assured knowing that each tumbler will look good and fit well within the palm of any elevated hand. 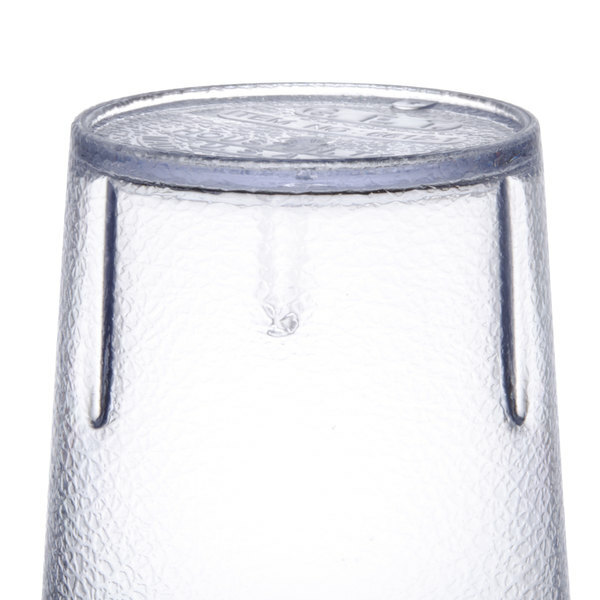 Plus, the stacking lugs located at the base of every cup ensure jam-free storage, saving you time as well as space, which are ever in short supply! It is this marriage of style and function that GET strives to achieve for the advantage of foodservice professionals worldwide. Every product that they produce is designed to impress yet built to last, to endure the demands of even the highest volume consumer traffic areas for your personal convenience and profitability. 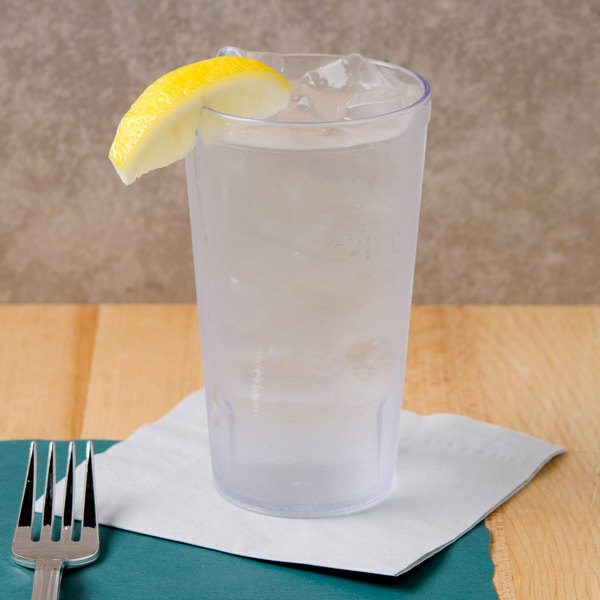 This goal is clearly evident in the quality of each item featuring the GET name, including this GET 6612-1-6-CL 12 oz. 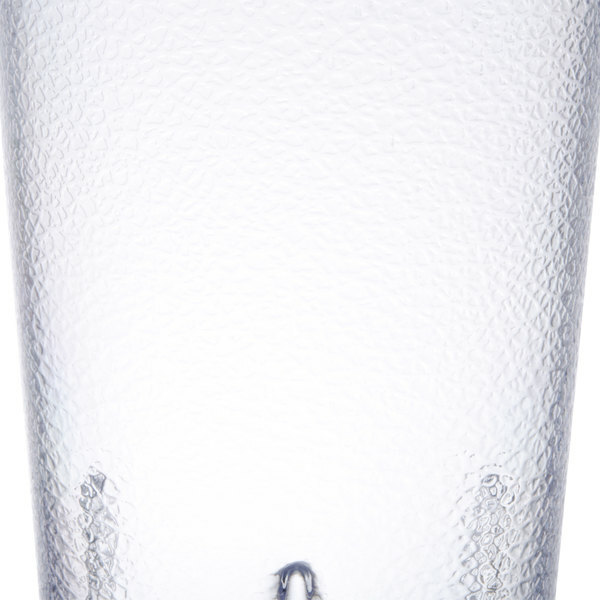 stackable clear customizable textured tumbler!